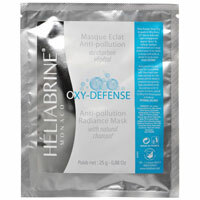 HELIABRINE Replumping Collagen Facial Mask: This high-performance facial treatment provides immediate softness and comfort. It smoothes, tones and moisturizes. The regular use of the Heliabrine ® Collagen Mask helps improving the natural hydration of the skin and correct the appearance of signs of ageing. We have chosen to use the high technology of 100% natural Bio-Cellulose, which has a very soft and pleasant texture for the skin and outstanding embellishing properties. It contains a serum highly concentrated in Marine Collagen, Hyaluronic Acid and Aloe Vera, the perfect combination for a 3 in 1 action: MOISTURIZING, SMOOTHING and ENERGIZING for a younger looking skin.